The group activity is devoted to electronic and radiative properties of warm dense plasmas. Our work has important implications in the field of energy, particularly in the inertial fusion sciences. 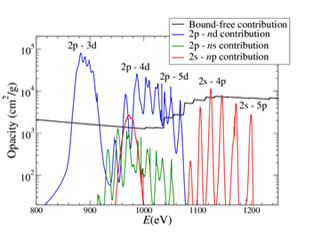 We develop models of atoms in plasmas and methods aimed at obtaining their equation of state. 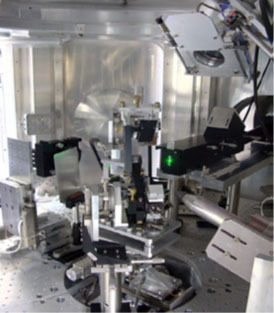 In order to validate the theoretical models, we perform campaigns on large laser facilities, such as series of opacity measurements on the LULI-2000 laser facility at Ecole Polytechnique. This domain is both fundamental and applied. Among the fundamental issues stands the physics of strongly coupled Coulomb systems. Our activities are naturally connected to inertial fusion and astrophysics where the “exotic” physical conditions of the matter that we are studying are common. 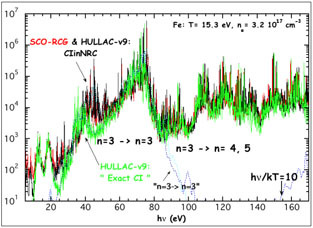 In inertial fusion radiative phenomena are crucial for the energy transfer inside the plasma. 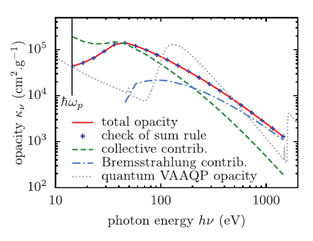 Therefore radiative opacities as well as equations of state in dense plasmas are necessary to the model inertial confinement fusion scenarios. In astrophysics the radiative transfer phenomena define in particular the position of the transition between convective and radiative zones in stellar interiors, or the pulsation period of the beta-cephei stars.